Can the credit and debit card networks support weekend volumes? December 17, 2016, New Delhi: With the cash crunch continuing and the Government focus of the demonetisation scheme shifting to cashless economy, the big question is do we as a country have the infrastucture to do it and what is needed going forward. Can the credit and debit card networks support the weekend volumes? In a recent survey conducted by citizen engagement platform LocalCircles, 16% said that their experience with using a credit or debit card was bad over the last weekend (Dec 10-12) as they either could not conduct the transaction at all or the transaction got stuck mid way. 20% said that they faced some hassles and their credit/debit card transactions only went through after repeated attempts. 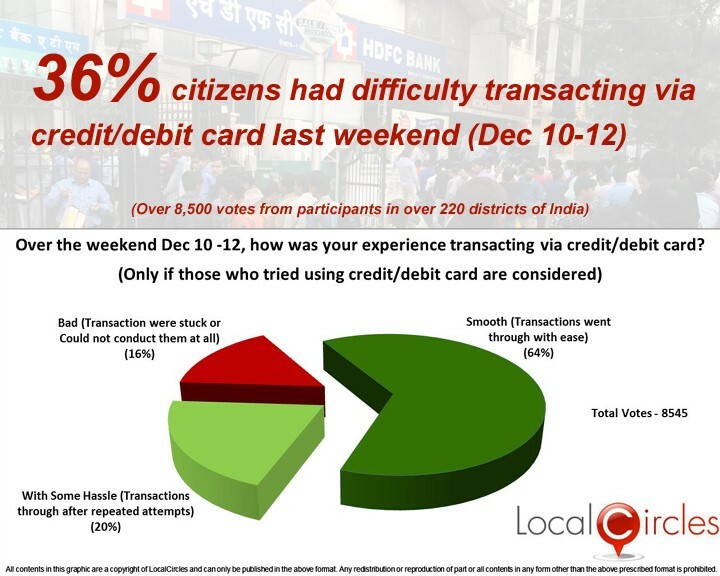 For 64% of the citizens, the transactions went through in first attempt without any issues. 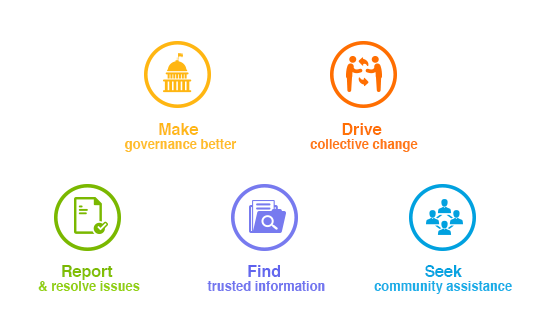 A total of 8545 citizens participated in this survey from over 220 districts of India. A discussion on cashless transactions and current issues was also conducted on LocalCircles. Per citizens, strong back end infrasastructure, secure processing systema, uninterrupted internet connectivity, good quality Point of Sale Machines are just some of the basic requirements for smooth processing of credit and debit card transactions. People also demand that all businesses should be mandated to have a card swipe machine and it should be made illegal for an establishment to charge different amounts when paid through cash or card. The inadequate IT backbone for credit and debit card transactions means that inter-operability is the need of the hour. In case of failure of a transaction, on a Visa or Mastercard the transaction should be switched to Rupay infrastructure. Banks should demand higher bandwidth at the switch level from card companies so that customers do not see transaction failure. Penalties for transaction failures should also be considered according to citizens.